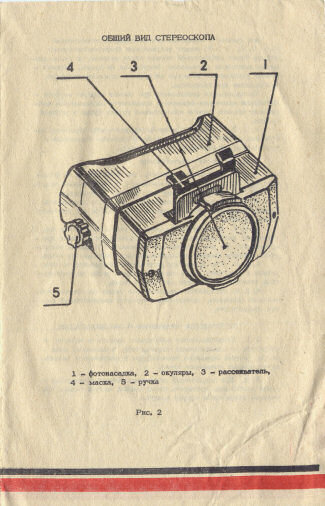 This Ukrainian made beam splitter is unusual in as much as it is a camera attachment that then converts into a stereo viewer, achieved by inserting the stereo lenses into the lens attachment. 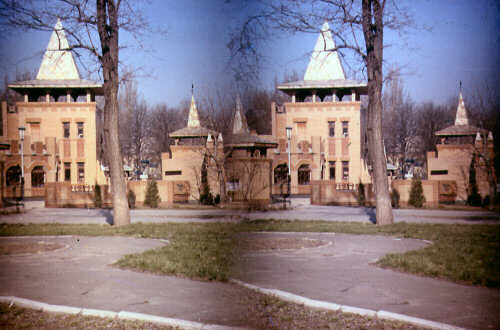 The Beam Splitter takes two images through one lens onto a single 35mm frame (measuring 36mm x 24mm). 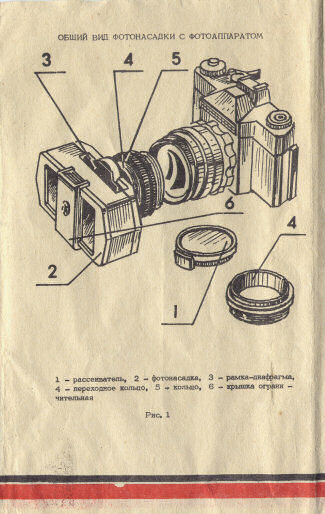 The lens attachment requires a camera with a focal length of 58mm and so is ideally suited to Zenit (Zenith) cameras. The lens must also have either a 49mm or 52mm filter thread to screw the attachment onto. The SKF-1 was initially produced in 1985 and was manufactured for at least six years, maybe longer. 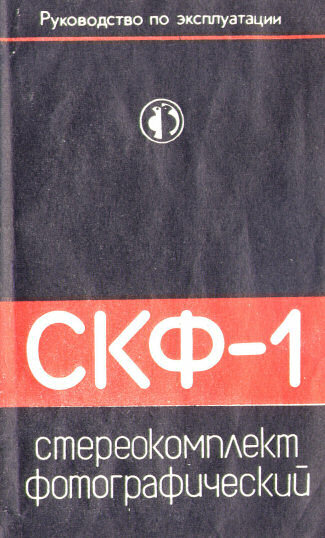 The SKF-1 Logo found moulded in the viewer section of the SKF-1 Viewer. This is what a slide looks like once developed. To view it successfully it is inserted into the viewer with a plate that has a centre dividing line (this can be seen in the complete set layout in the bottom picture), this helps the viewers eyes to separate the two images. 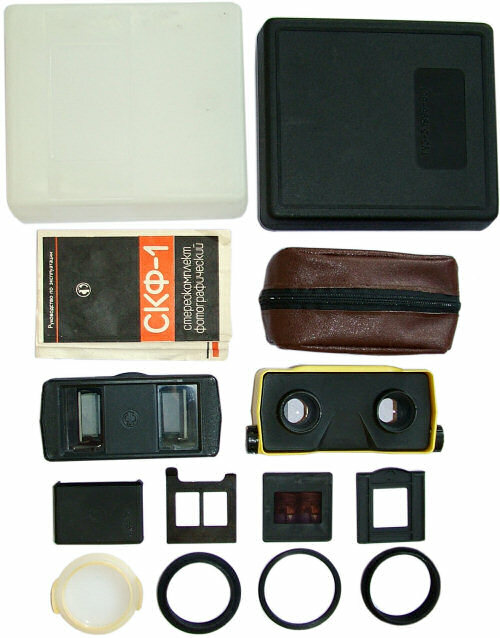 The complete SKF-1 kit, with all accessories. These kits are often sold, incomplete, on eBay. It is worth making sure that all items are present. The instructions are in Russian, but it is not hard to work out how to use it.